In addition to an extensive regular concert season with the Las Cruces Symphony Orchestra, Maestro Lonnie Klein has guest conducted regularly with orchestras in Mexico, Canada, Italy, Germany and Turkey as well as orchestras in the United States. Last season Klein guest conducted on two occasions the Orquesta Filarmonica del Estado de Chihuahua in Mexico, the Europa Philharmonie in Germany and the Orchestra Sinfonica Della Provincia in Italy. Other European concerts include conducting the Milano Classico Orchestra on two separate occasions in Milan and Las Spezia and the Solisti di Perugia Orchestra in the Piazza Novembre in a concert entitled “A Night Under the Stars” in which over 12,000 people were in attendance. In May 2004 and March, 2005, Klein conducted concerts in Adana, Turkey with the Cukurova Devlet Senfona Orkestra which were broadcast live on Turkish television. As a POPS conductor, Maestro Klein has produced and conducted concerts with such celebrated artists as Doc Severinsen, Mariachi Cobre, The Temptations, The Contours, The Dukes of Dixieland, 5 By Design, The Beatles, Sandi Patti, Lee Greenwood and Daniel Rodriquez. Lonnie Klein is committed to performing music of our time. Since his appointment the LCSO has given world premiers of new music especially commissioned for the orchestra. Noted composers include Peter Inness (England), Reinhard Seehafer (Germany), Oliver Payan (Mexico), Joan Tower (American) Bill McGlaughlin (American) Steve Chatman (Canada) and slated for the 2008-09 season, Joseph Schwanter. In 2005 and 2007 the LCSO was featured on National Public Radio’s Performance Today, which was heard in all fifty states and Sirius Radio. In June 2006, Klein was asked by Joan Tower to talk about the LCSO performance of her new work Made in America at the American Symphony Orchestra Leagues annual conference in Los Angeles. Klein’s spirited vision includes a deep commitment to education and community. Under his leadership and guidance the LCSO has expanded its outreach programs for young and old. He has featured educational outreach troupes such as Tales and Scales, Dan Kamen Comedy Tours and Lyn Dillies’ “Magic at the Symphony.” More than 20,000 area children will benefit from in-school programming and opportunities to experience the orchestra in concert. For those wanting to deepen their experience of music, Klein offers a series of pre-performance lectures to the public prior to every Classics Series concert. 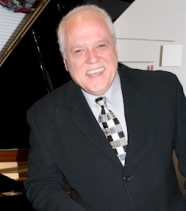 Lonnie Klein holds a Doctorate in Performance from the University of Illinois, a Master of Music from Michigan State University, and a Bachelor’s from Murray State University.